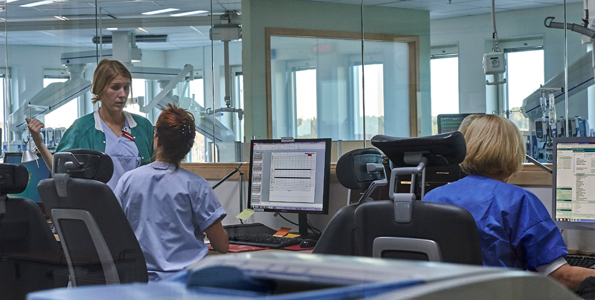 Patients with individual needs for light as well as a staff with shifting work hours and associated sleep problems meant that the intensive care department at Hudiksvall Hospital chose Chroma Zenit Circadian Lighting. A holistic solution that creates the optimal basis forboth a treatment and a work environment. 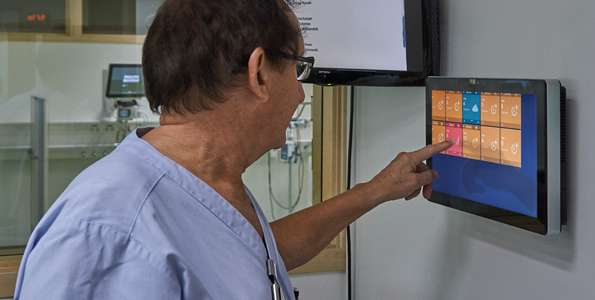 In 2015, Hudiksvall Hospital installed Chroma Zenit Circadian Lighting in their general intensive care department – as the first hospital in Sweden. The solution is Chromaviso’s clinically proven Chroma Zenit Circadian Lighting which is adapted to the rhythm of the department, as well as the patients’ diagnosis and needs. A holistic solution that combines the consideration for both patients and staff with both light and sound. The solution is evidence-based in clinical studies, follow-up studies, user surveys and in practice at more than 90 hospitals. 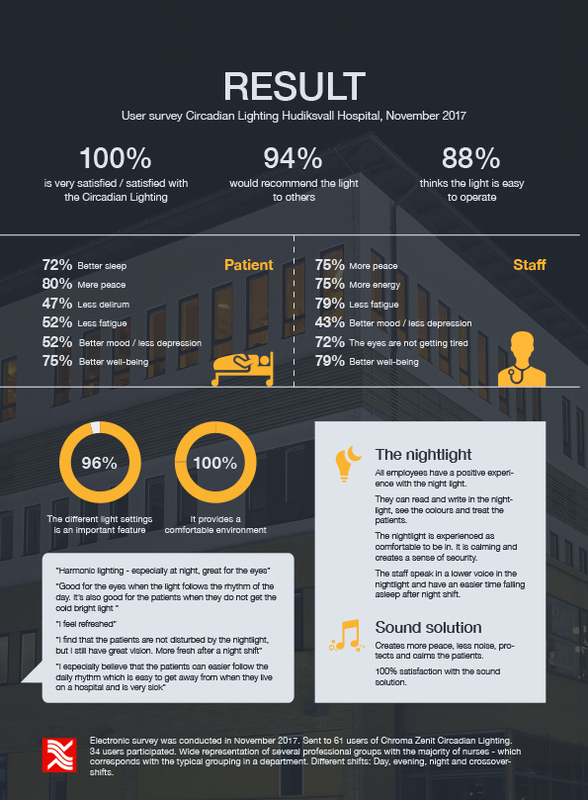 A user survey and interviews at the department at Hudiksvall Hospital show that the Chroma Zenit Circadian Lighting makes a big difference for both patients and staff. It is particularly important to us because we work in three shifts. Many had difficulty falling asleep after a night shift. When we got the light, the staff quickly noticed that they felt more refreshed at work and could fall asleep when they got home. At the same time, the staff experience that the Chroma Zenit Circadian Lighting provides a comfortable work setting and ensures optimum lighting all day, which is crucial for the work environment and safety. The Chroma Zenit Circadian Lighting stabilizes the daily rhythm and increases the sense of time and place. It follows the natural light and develops in a slow-moving motion all day long – from the gentle light in the morning, to the bright daylight in the daytime to the warm, non-blue nightlight. The light is adjusted at each bed, depending on the individual’s wishes and challenges, as well as the staff’s need for light for the individual treatment. In addition, sound masking and music therapy are integrated into the solution, creating an environment with a focus on integrity, peace and privacy – in an open atmosphere. The solution has had a positive effect on the patients’ sleep and well-being. Her colleague Kristina Löf adds: “The night light is good when we need a calming environment and we use the white light when we need to take a blood test. The light settings are an important supplement to the general circadian lighting.” In addition to sleep and the calm environment, the user survey shows that the staff experience an effect on the patients’ risk of delirium, depression and fatigue. These results are also documented in international clinical studies conducted by Rigshospitalet, Harvard University and Aarhus University Hospital. Other international studies have also shown that the circadian lighting reduces the time of hospitalization and improves the patient’s outcome. The intensive care department has Chroma Zenit Circadian Lighting everywhere. The light is controlled both at each bed and centrally from the monitoring room via an intuitive control-universe. In the evening, when the patients have to go to sleep, the lights by the patients’ beds turn off, while hallways and monitoring rooms have a warm, non-blue night light. This light does not interfere with the daily rhythm of the body but gives the staff the necessary light for their work. The light settings are developed in close dialogue with the staff to support the various situations throughout the day. At night, when the patient lies in the dark, the staff has a number of possibilities to turn on light that interferes with the patients as little as possible. For example, a small spotlight for simple treatments, or a warm, non-blue light for a sense of peace and security. Sound masking is enabled to further monitor patients against unnecessary interference. If the acute-light is turned on, the loudspeakers send out noise-masking sound, so that any noise does not disturb the other patients.